At Chartrange, we care about the environment. We value our environmental responsibilities and acknowledge that our operations can have an impact. Using more than 400 million tons of material a year, the construction industry can have a detrimental impact on the environment, both locally and on a global scale. This means that we have to consider the environmental impacts created by the way we source materials, and by the processes we undertake to complete a project. Climate change mitigations are an important issue to consider during any new build and project operation, and it’s vital to adapt for future climate change conditions. We are dedicated to putting preventative measures in place in order to minimise our impact on the environment from our construction works. Prior to starting any work, our dedicated teams invest time in thoroughy identifying all significant corporate and project environmental issues that may arise. Control measures are then implemented to minimise potential impacts, and documented in our Project Envionmental Management Plans. These plans are effective business tools that are fully audited, revised and updated with information during the progression of all of our projects. Chartrange carries out its operations and activities in accordance with our environmental management system, which has been specially designed to meet the philosophy of the international standard BSEN ISO 14001. The purpose of this international standard is to protect the environment and respond to changing environmental conditions, also addressing socio-economic needs. We endeavour to meet all environmental regulations whilst improving overall efficiency and environmental performance. Due to our bulk earthworks heritage, we always endeavour to re-use earth materials where possible to limit wastage and the need for disposal. By doing so, we can help to reduce the environmental impact from excessive import and export of bulk earthworks, whilst also dramatically reducing costs. Utilising materials on site is usually viable, and is often done by simply moving them from one location to another, if the project and location permits. However, we acknowledge that there will occasionally be instances where there isn’t possible. In these eventualities, our bulk disposal services ensure that material is either recycled or due to contamination, sent to an EA licensed tip. Chartrange Enviro is a division of the Chartrange Group. The main purpose of establishing Chartrange Enviro was to service the construction industry in material disposal and importation of aggregates (materials). We have the facilities to manufacture a vast amount of recycled aggregates, working from our Waste Transfer Stations, with the help of our own vehicles. We carry an extensive fleet of modern tipper trucks, which are accredited to FORS standard, and equipped with the latest industry leading technology. All of the materials manufactured by ourselves are processed under WRAP protocol, and meet with the Specification for Highway Works. Health and safety is at the forefront of everything we do at Chartrange. We promote the highest standard of working practice across the board, complying with industry standard regulation. We are totally committed to the safety of our people, your people and the environment. 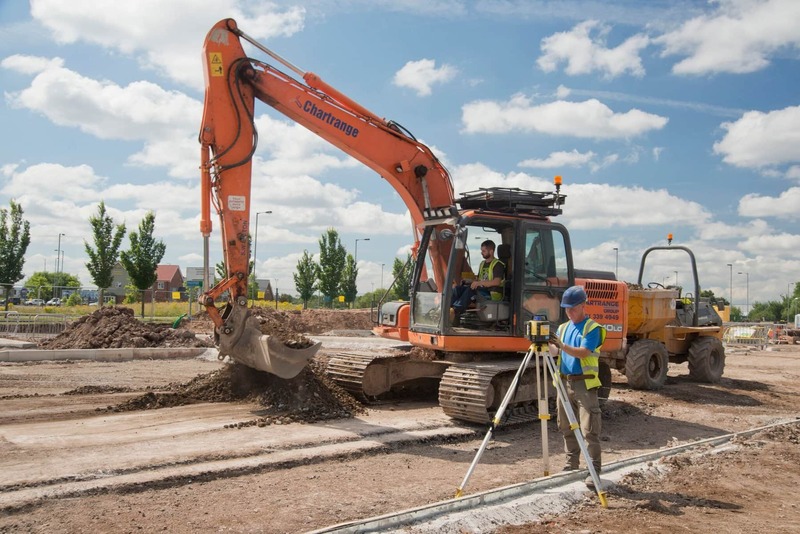 As such, all of our site operatives are CSCS/CPCS trained and have attained the required qualifications needed to carry out their work on site. We are GOLD certified Constructionline members, and have been awarded the corresponding ‘Deemed to Satisfy’ SSIP certificate for health and safety. Our other memberships and accreditations include: CHAS (The Contractors Health and Safety Assessment Scheme), British Safety Council, Safecontractor, Acclaim. Chartrange has gained a well deserved reputation in the North West and surrounding areas, and our dedication to health and safety is second to none. 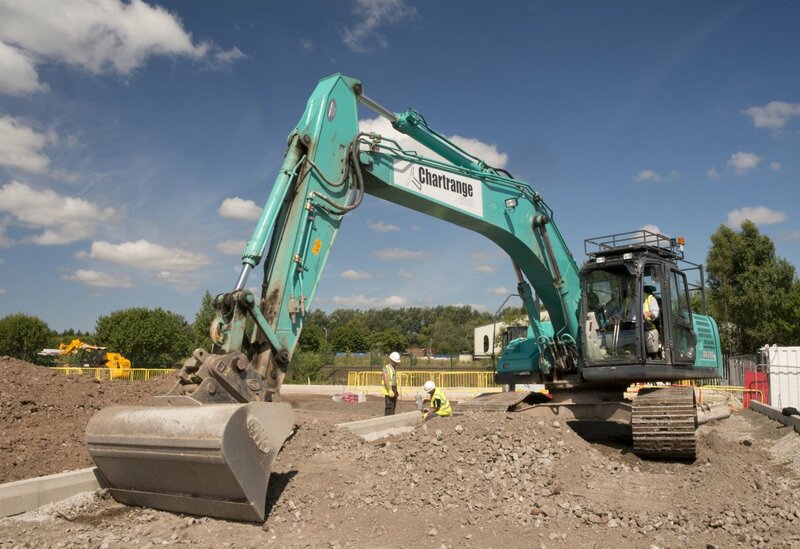 The rigorous procedures we put into place before, during and after our operations in order to adhere to health and safety requirements whilst also protecting the environment are what helps us to carry out successful projects time and time again.